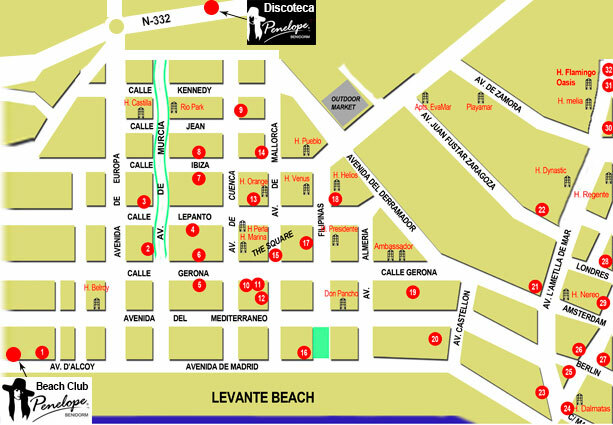 Below is a map of quite a few bars and restaurants, all of which we can recomend to you as good places to eat and drink. This map of Benidorm only has a few of the major hotels marked on so visit The Benidorm Map website for a comprehensive Benidorm hotel map. 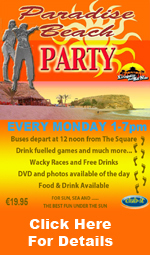 The Benidorm Map also has plenty of useful information on Benidorm and it's pubs, restaurants, shops and services.